I can’t take credit for this one. It’s really all my brother’s fault. After a family trip to the UK my brother became obsessed with ginger beer. He grabbed one of my mother’s cookbooks and found a recipe for it and cooked up a batch one afternoon. Without thinking about either sterilization or the gas release of fermentation, he bottled his brew in some leftover bottles he simply hand-washed and plugged with corks. He laid the bottles in his closet to ferment and keep in cold storage. Within a few hours there were several explosions as the bottles shattered and spewed a very pungent, nasty ginger brew all over his clothes and a rolled up Oriental rug, which never recovered from the stench. Thus the ginger beer craze was on! I was delighted when my brother’s partner, Karen, published her first cookbook earlier this year and featured her recipe for Jamaican Ginger Beer. She and my brother found this while eating at Caribbean restaurants in South Florida. I think she begged a chef to give her his recipe, and in turn, I begged her for it. Both Karen and I have altered the recipe quite a bit…I think mine’s the best, but her book, “Jam it, Pickle it, Cure it” is a classic! Real simple. All you gotta do is throw all of these ingredients into a blender and crank it up to high speed for 2 full minutes. Strain it with cheesecloth (or a tea towel) into a bowl squeezing every last bit of juice out. Chill and enjoy! This is another important recipe that requires you to TASTE. As I mentioned before, no two fingers of ginger at the same…sometimes you’ll get ginger that is way more powerful than others. You may want to add more sugar or lime juice or even water it down a little. No problem. Taste and adjust. Most people do cut their ginger beer with a little sparkling water and a squeeze of fresh lime. 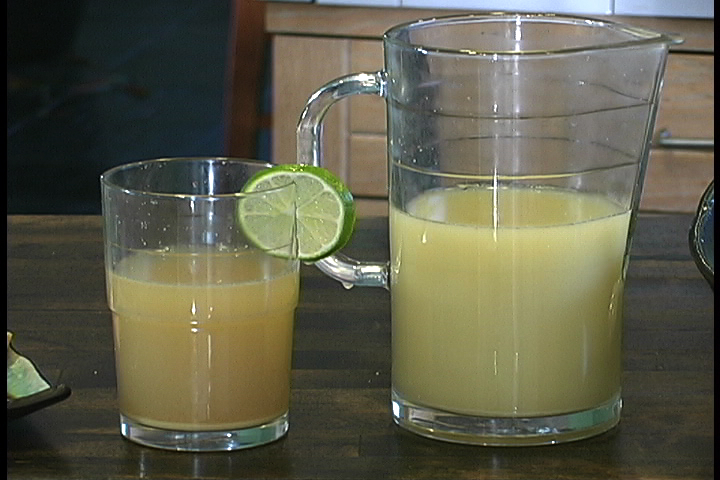 I am quite fond of really strong ginger beer; so a half-cup of sugar works great for me and I don’t even like to mix with water. I drink it straight up and on the rocks. Sometimes I’ll add a little rum or sake to “sweeten” the deal. Ginger Beer is a powerfully refreshing drink that will totally clear out your sinuses and wake you up. This is especially great if you are under the weather—try it heated up next time you’ve got a cold. Great anytime of year, this is an exotic and lively drink you are going to fall in love with. How much is ‘two fingers’ of ginger. I’ve looked a few places online with no luck. Two Fingers is a loose measurement that basically asks you to put two fingers together…what is that, half an inch? Think “Two Fingers” Tequila. Anyhoo, I don’t remember saying to measure out two fingers of ginger…A piece of ginger is frequently called a finger and i was saying that “not two fingers are the same”. One batch of ginger will be wicked hot and the next a little sweeter or less picante. 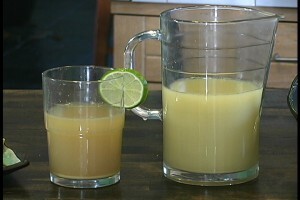 Now, pour yourself two fingers of something strong and make a batch o’ ginger beer!